Erika Awakening the Real Story: Who Is Erika Awakening? Hi everyone, this is Erika Awakening. I am the founder of a revolutionary and advanced version of EFT tapping Emotional Freedom Technique, which we sometimes call Holistic Belief Reprogramming. The idea of Holistic Belief Reprogramming by Erika Awakening is to harness the power of your subconscious mind to create miracles. Money miracles are one of our specialties, but we love creating any kind of miracle really. I run this website ErikaAwakening.com, as well as TAPsmarter.com: Advanced EFT Tapping for Money and Miracles and Your Life After Law. You can read my formal introduction at Who Is Erika Awakening?. Now don’t get me wrong. I doubt myself sometimes just like everyone else. Erika Awakening is still human. Fortunately, this advanced version of EFT Tapping Emotional Freedom Technique is smarter than I am. And so it turns even our mistakes into blessings. Holistic Belief Reprogramming is based on the idea that everything we see is a projection of the mind. Therefore, we do not seek to change the world. We heal ourselves, and that heals everything in our lives and ultimately also heals the planet. My background involves a lot of formal education and fancy degrees. I have an undergraduate degree with honors from Stanford University, and a J.D. with honors from Harvard Law School. If I had it to do over again, I would have skipped the fancy education (well, maybe not college because it was fun, but I definitely would not have gone to law school). And I would have become an entrepreneur from the get-go. It’s hard to believe in retrospect that I didn’t become an entrepreneur from the get-go was. That happened because I didn’t believe in myself. I was full of limiting beliefs. I didn’t think that Erika Awakening was good at business. Worse, I didn’t think Erika Awakening had the POTENTIAL to be good at entrepreneurship. Pretty funny considering at my peak in this business I made nearly $90,000 in one month. It turns out Erika Awakening is good at business after all. That it took me so long to figure this out just goes to show you: That’s how much our limiting beliefs can hold us back in life if we don’t commit to changing our core beliefs and becoming empowered. Which is what Holistic Belief Reprogramming by Erika Awakening is all about … self-empowerment by the fastest means possible. So I was totally on the wrong path in life. The hamster wheel path of chasing gold rings and seeking external approval … until I had a near-death experience in early 2006 that changed everything. Of course nothing was the same after that. Erika Awakening had started to … awaken :) And thus began my journey down the rabbit hole of personal growth transformation. I discovered non-violent communication and the seduction community in about the summer of 2006, Emotional Freedom Technique (EFT tapping) and A Course in Miracles in early 2007, binaural meditation in August 2007. The rest, as they say, is history. The real Erika Awakening was born. Erika Awakening eventually left the legal profession and now helps other people do the same. Nowadays, I teach other people everything that I’ve learned about self-empowerment and manifestation using the law of attraction. I help people get money miracles and relationship miracles. I help people to develop intuition, open your heart, heal your chakras, discover your purpose, erase your limiting beliefs, love your body, develop magnetism and charisma, attract money into your life, and much much more. No matter what the problem is, Holistic Belief Reprogramming is designed to solve it in a miraculous way. 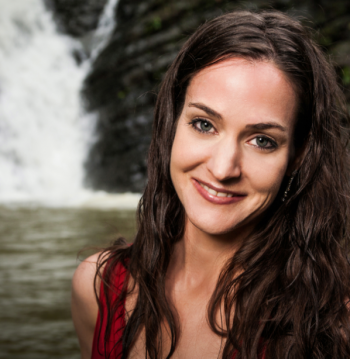 Learn more about Advanced EFT Tapping with Erika Awakening here. I love to connect with you on social media!